One of the most masculine and substantial tungsten ring we offer. 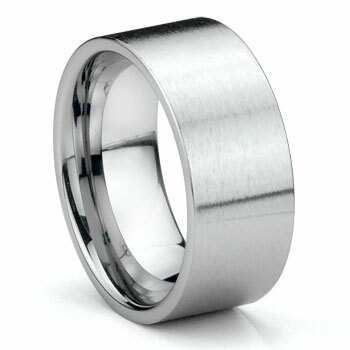 This ring measures 10MM in width and it is the widest and heaviest tungsten ring we make. The outside features a flat top pipe cut edge profile and the inside of it has the comfort fit design. Although it is very heavy, it is very comfort to wear as an everyday ring. The satin finish on the outside makes the ring subtly different from a traditional wedding ring. 100% scratch proof and hypoallergenic are other benefits of this ring.